Travellers heading up and down the East Coast will almost definitely pass through Brisbane at some point, but the city lights may not appeal to many RV owners. 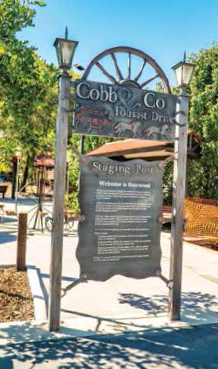 However, a sleepy historic village with RV-friendly status is much more enticing, and Rosewood fits the bill perfectly. 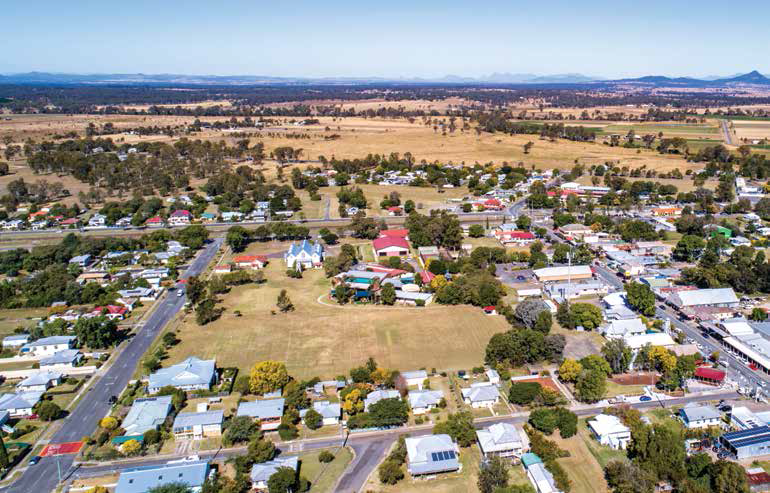 This charming town is located in the Ipswich City Shire, around 60km west of Brisbane on the outskirts of the beautiful Scenic Rim, a smattering of dramatic mountain peaks formed of an ancient volcano. Rosewood’s main street is lined with beautiful heritage buildings housing boutique shops, a top notch bakery, and a couple of decent pubs. What more could you ask for? Oh that’s right, great coffee. To that end, call into Harry’s Place Café for the best coffee in town and a hearty breakfast or lunch. There’s also a seductive cabinet full of devilishly delicious sweet treats. Rosewood is on the famous Cobb and Co Touring Route, which follows an historic travellers’ highway for horse-drawn passenger transport between Ipswich and Toowoomba in South East Queensland. 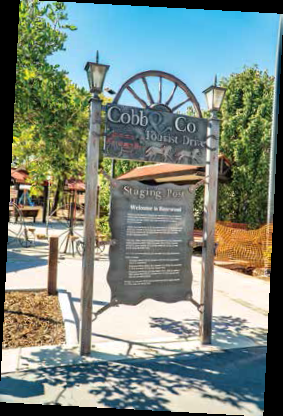 On the main street you’ll discover Rosewood Staging Post, right in the centre of town. Just as the horse-drawn coaches of yesteryear would stop here to rest, today this is the perfect place for visitors to relax and stretch their legs. On display here is an original Cobb and Co coach, which is bound to tickle the interest of history buffs. 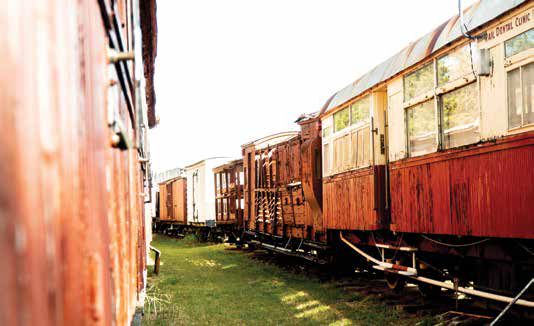 Rosewood’s rich transport history extends beyond horsepower to locomotion, with railway infrastructure built to service both the sugarcane fields and coal mines that have formed the backbone of this little town’s economy throughout the years. These days, on Sundays, visitors can take a ride on Red Fred, a charming heritage train that weaves for 15 scenic minutes up to the highest point on the line, at Rosewood Railway Museum. There’s loads of locomotive history on display here, so give yourself enough time to wander around the rescued train carriages imagining them in action in the heyday of railway transport. 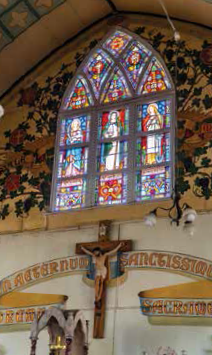 But perhaps the jewel in Rosewood’s heritage crown is the beautiful St Brigids Catholic Church. 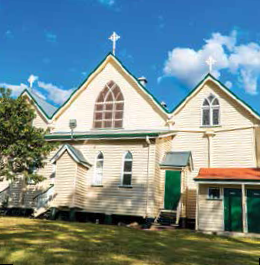 This is the largest timber church in Australia, and is adorned with beautiful murals, colourful glass windows, and an ornate pressed tin ceiling. It’s truly an amazing building with intricate woodwork and exceptional craftsmanship. 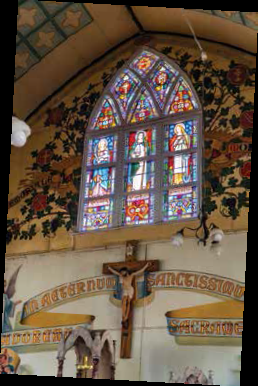 Visitors can access the church for free by arrangement with the caretaker. 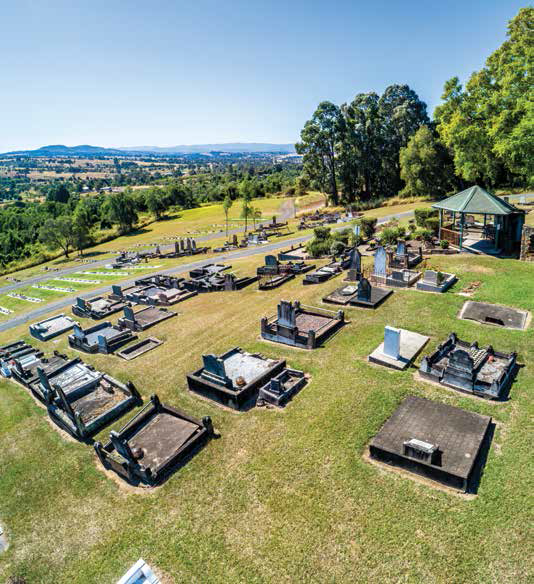 Given Rosewood’s sleepy vibe, it seems surprising that the real life inspiration for James Bond, Sidney Cotton, was from this neck of the woods and is buried amongst family members at the Tallegalla Cemetery on the outskirts of town. Sidney Cotton lived an incredible life. An inventor, pilot, serviceman, photographer and, of course, spy, he served in both the World Wars in the Royal Navy Air Service and infiltrated enemy territory by air to take photographs of key German landmarks in a plane painted sky blue to avoid detection. He even invented a specialized cockpit with bubble shaped windows perfect for shooting photographs out of. Sidney’s grave is a must-see for Bond aficionados, and there’s a plaque detailing his life and times. 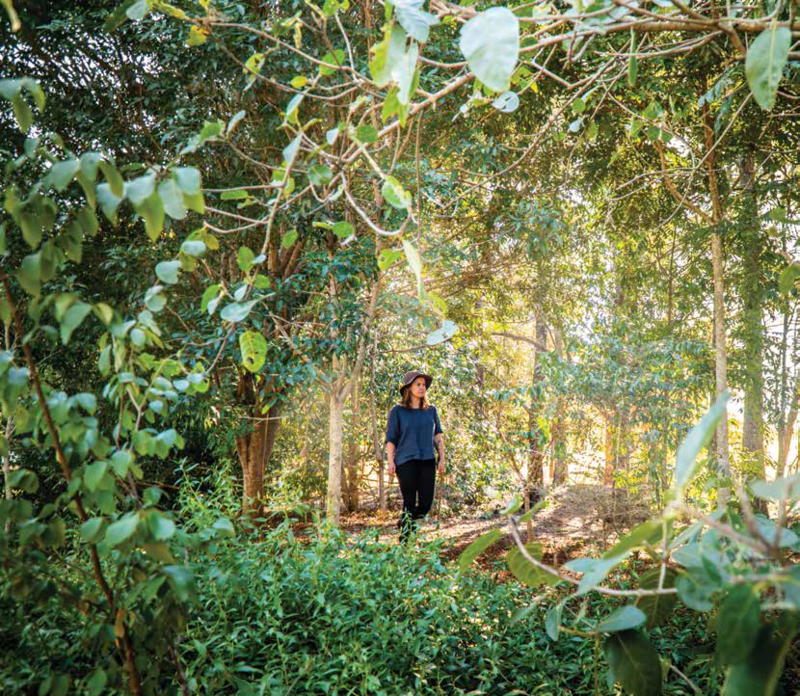 Heading back into town, you can’t pass up the chance to see more than 100 varieties of trees at the Rosewood Scrub Arboretum. A peaceful park with picnic facilities and a kids’ playground, this is the ideal place to relax and enjoy the unique flora species of the region. But it’s not just those who enjoy a slow pace who’ll find something to love at Rosewood. 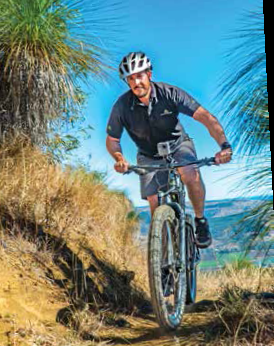 Outdoor adventurers and thrill seekers will love the Hidden Vale Adventure Park, which offers the largest network of maintained mountain biking tracks on mainland Australia. 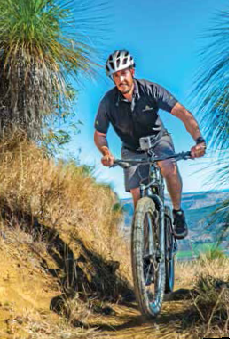 This beautiful, rugged 12,000 acre property provides over 100km of tracks and obstacles to suit all levels, with plenty to challenge even the most experienced rider. 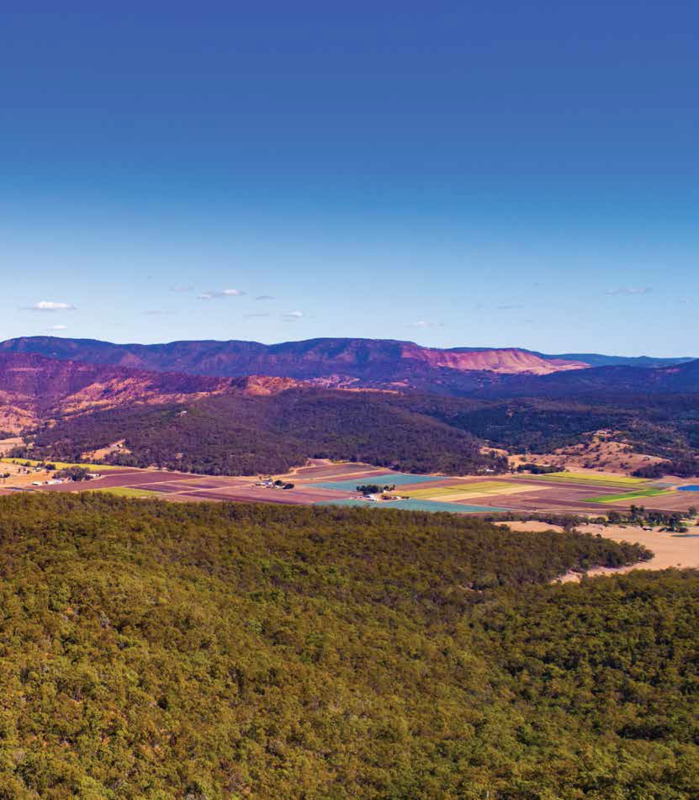 But the most incredible thing about this place is the breathtaking views across the Scenic Rim, jagged mountain peaks that form the crumbling remains of an ancient volcano. Many of the park’s tracks capture these views beautifully. Hidden Vale is working towards setting up camping areas, and in the meantime offers an excellent group accommodation option comprised of several selfsufficient, off-grid cabins in secluded bushland perfect for groups of up to 16 people. There’s a sturdy communal area with a well-equipped kitchen, showers powered by solar hot water, and a giant fire pit that just begs for toasty marshmallows, hot toddies, and tall tales. Visit www.hiddenvaleadventurepark.com.au for more information. So next time you’re passing through South East Queensland, consider calling into Rosewood for a few nights’ of RV-friendly hospitality, unusual history, and natural beauty. We think this unassuming little town will surprise you in the best way possible. 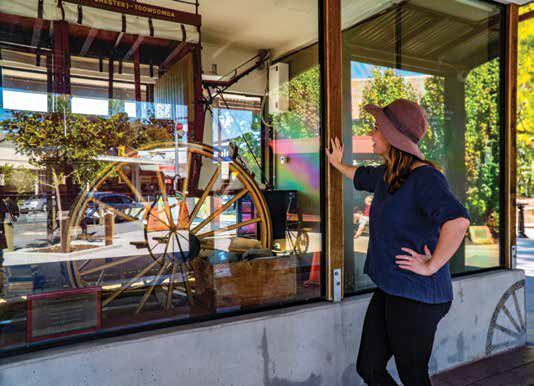 Rosewood is an RV Friendly Town, located in south-east Queensland between Brisbane and Toowoomba. A major service town for the surrounding farming areas, the town was named in the 1870s after the Rosewood tree, which grew in the region. Caravan and camping sites are available at the showgrounds, which offers powered and unpowered sites at affordable rates, and toilets and hot showers as well. It’s also only a short walk from the main street, where you can find a supermarket, chemist, post office, bank, and newsagent.